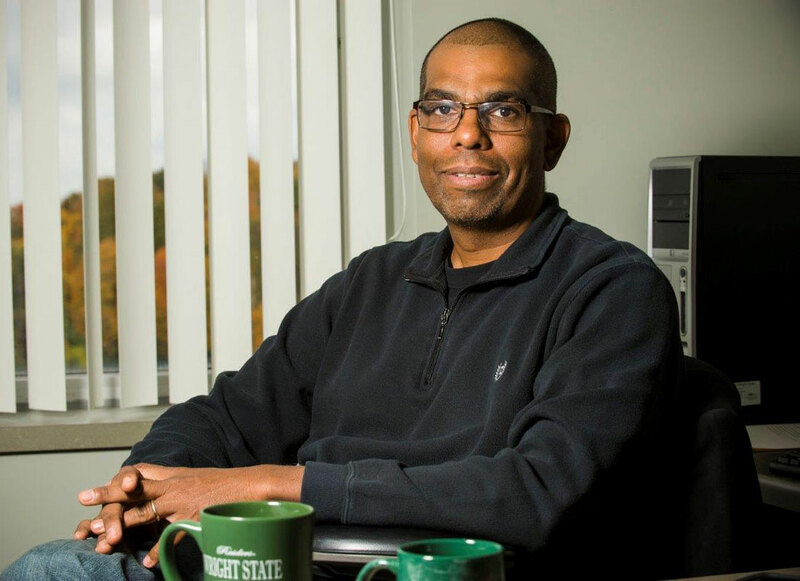 Newspaper veteran Ray Marcano is helping the next generation of journalists by teaching digital media to Wright State students. Growing up in the James Monroe housing project in the Bronx was no picnic. A steady diet of shootings, stabbings and drug-fueled crime was part of that New York City world. But Ray Marcano learned how to survive on the street. And he did it while cooking and caring for his three younger siblings in a fatherless home. And he also did it while clawing for a career in journalism, a career that would bullet him into the upper reaches of the profession — former national president of the Society of Professional Journalists, a two-time Pulitzer juror and a Fulbright Fellow. Today, the longtime and now retired reporter/editor/manager at the Dayton Daily News is an instructor in Wright State’s College of Liberal Arts. And he is using his experience to open the world of digital media to students and help them develop the skills to write, edit and publish stories online. Marcano’s steely determination to succeed was fired in the crucible of the hard-scrabble Bronx. Marcano also learned another important life skill — how to cook. When he was 8, his grandmother pulled him into the kitchen. Marcano attended the High School of Music and Art, made famous by the movie and television series “Fame.” He aspired to be a musician, studying voice and percussion. He played in the school jazz band that included bass guitarist Marcus Miller, who went on to work with trumpeter Miles Davis, pianist Herbie Hancock, singer Luther Vandross and saxophonist David Sanborn as well as maintaining a successful solo career. So Marcano dropped his dream of becoming a musician and decided to jump into journalism when he wrote a futuristic story about a U.S. satellite that knocked nuclear missiles out of the sky and was encouraged by his high school creative-writing teacher. Undeterred, and with a Bronx-like zeal, Marcano applied for a news editor job at the daily newspaper in Vinita, Okla. He checked on the job status by calling the publisher every week for five straight weeks. For the next two years, Marcano did virtually everything at the paper, from writing stories and headlines and laying them out. He moved on to the Tulsa World for a year and then in 1984 joined the Dayton Daily News. Marcano started as a minority affairs reporter and for the next 25 years work as a reporter, night city editor, sports editor, metro editor and deputy managing editor. He led the newspaper’s coverage in 2004 of the Ohio State men’s basketball team under coach Jim O’Brien, who was dismissed after being accused of NCAA rules violations. Marcano moved to the Cox Media Group, where he helped the chain’s 85 properties grow their audience. During this time, he earned his master’s degree in business administration from Baker College of Flint. In 2009, he joined the faculty at Wright State as an adjunct in the Department of Communication. As part of his advanced digital media class, Marcano and Dayton Daily News editor Ken Paxson launched DailyFlipz, a mobile website that gives students a platform to develop their reporting and writing skills. Marcano says Wright State is special because the university gives everyone an opportunity to succeed. Wright State is engaged in a $150 million fundraising campaign that promises to further elevate the school’s prominence by expanding scholarships, attracting more top-flight faculty and supporting construction of state-of-the-art facilities. Led by Academy Award-winning actor Tom Hanks and Amanda Wright Lane, great grandniece of university namesakes Wilbur and Orville Wright, the campaign has raised more than $107 million so far.